The total package for front-and-back Level 3+ protection, complete and ready to go. 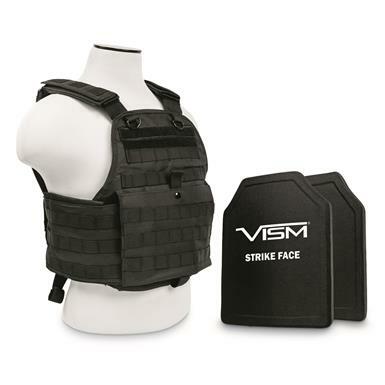 The Plate Carrier is made from rugged nylon, and accommodates a standard SAPI plate in both the front and back pocket. Adjustable shoulder straps and a length-adjustable cummerbund let you dial in your fit, and PALS webbing straps lets you attach gear. It comes complete with two Level 3+ Hard Armor Plates for robust front and back protection. Robust protection that goes beyond traditional Level 3 standards. VISM® Level 3+ Hard Armor Plates are tested to stop one round of 7.62 NATO M80 147-grain, as well as some 7.62x39mm and 5.56 NATO rounds. The Plates are made from UHMWPE (Ultra-High Molecular Weight Polyethylene), a very tough material with the highest impact strength of any thermoplastic currently produced. 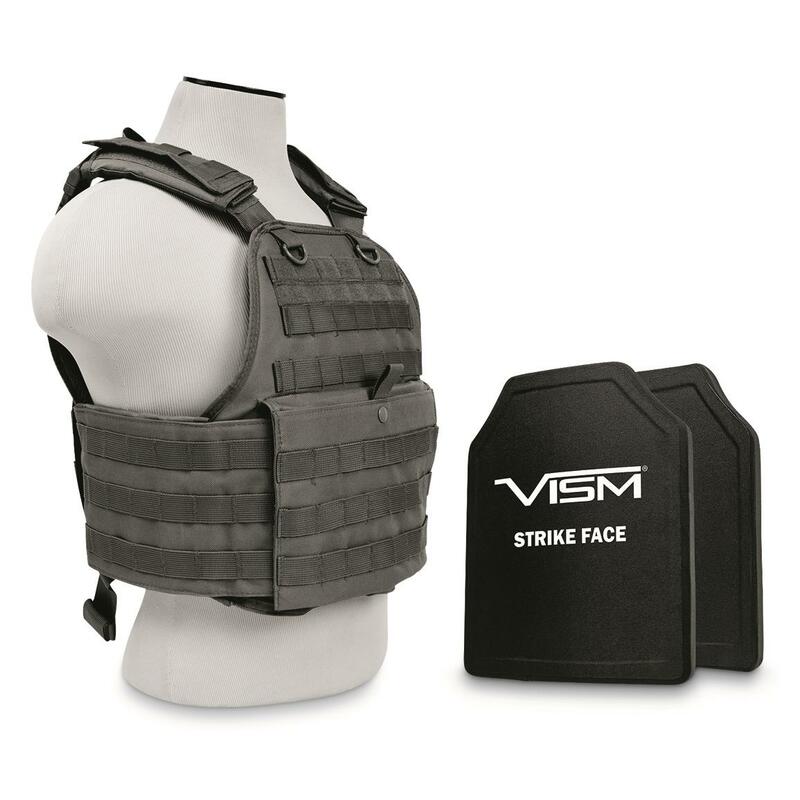 The special polyethylene is also incredibly lightweight—so you can wear these Hard Plates all day, comfortably. The single-curve design allows them to contour to your body, and the trimmed top corners (called the Shooters Cut) allow you to move and aim your weapon more efficiently. On-the-go protection that's easy to store, easy to conceal. Bullet-resistant protection from handgun rounds.